An observant Finnish teenager defrauded a Malta-licensed online casino out of more than €250,000 last year by spotting and exploiting a software glitch, local news outlet Yle reported on Monday. The casino that fell victim to the scam was not named. The underage man, hailing from the Finnish municipality of Forssa, appeared in the Häme District Court yesterday on aggravated fraud charges. He is facing up to 20 months in prison for targeting the online casino by exploiting a bug to transfer a huge amount of money. The teenager’s parents were accused of money laundering and are, too, facing sentences after part of the stolen money was traced to their own bank accounts. Yle reported that the young Finn allegedly spotted a technical glitch in the targeted online casino and opened an account with a fake date of birth to proceed with his scam. 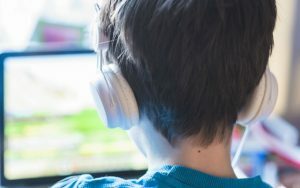 The gaming operation’s website was set up to allow customers the opportunity to cancel the return of their funds and to have the refund paid into an online wallet or a customer’s bank account. The teenager was able to take advantage of the IT issue for over a month, transferring the total amount of €252,000 of casino funds into his own bank accounts. According to Yle, the young man transferred the funds over 417 transactions between April and May 2017. The casino discovered the incident in July 2017. According to court papers, a portion of the money was transferred to bank accounts belonging to the clever teenager’s parents. Investigators reportedly discovered the amount of €14,000 of the stolen money into the personal bank account of the young man’s father. His mother had approximately €2,300 of the stolen money into her account and allegedly purchased a €5,000-worth motorcycle with another portion of the stolen funds. The underage Finn could get a sentence of up to 20 month in prison for his scam. He is accused of aggravated fraud as a minor. The prosecutor called on Monday for a five-month suspended sentence for his father and for a more lenient suspended sentence for his mother. The District Court charged with the case is set to deliver its ruling on September 3, Yle reported on Monday. News about the tech-savvy Finnish family defrauding a Maltese online casino emerge as the tiny Mediterranean nation is adjusting to its new gambling regulatory regime. The new Malta Gaming Act took effect on August 1 to introduce certain significant reforms in the way gambling services are licensed and conducted in the popular gaming and technology hub. The new gambling law simplifies Malta’s gambling licensing system by replacing the old multi-license model with just two licenses – for B2B and for B2C operations. 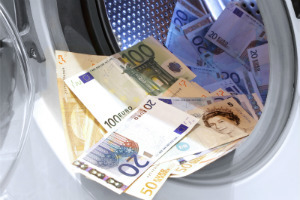 The Gaming Act also aims to address money laundering and other financial crimes often associated with the gambling industry by rolling out stricter controls and granting wider powers to the Malta Gaming Authority to monitor and penalize any such violations.